Ms. Christy’s and Ms. Mary Ann’s three and four year olds had a Valentine painting class at Smackover Preschool under the direction of Britany Benson of Rockin’ Creations. They had so much fun! Posted in Buckaroo News on February 28, 2018 by The Buckaroo Blog. The Smackover-Norphlet School District Board of Directors approved the school calendar for the 2018-2019 school year. Posted in Buckaroo News on February 27, 2018 by The Buckaroo Blog. Smackover High School choir students participated in the Division I Region Choral Performance Assessment. 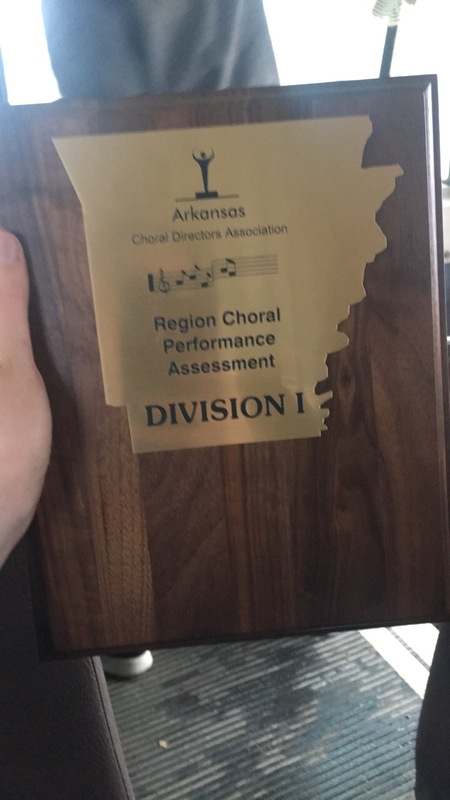 The choir received the score of I (Superior) in performance and a II (excellent) in sight reading. 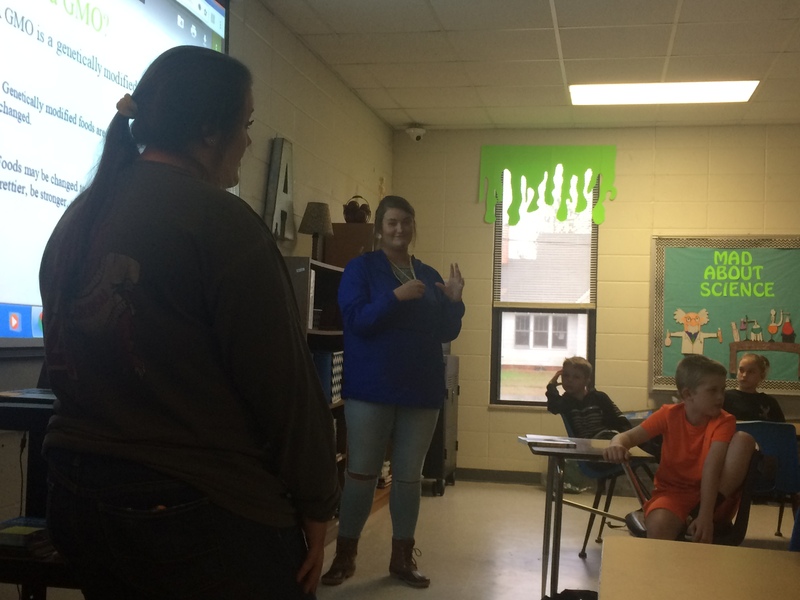 Smackover High School FFA officers visited fourth grade science classes at Smackover Elementary School during FFA week to teach about GMOs. Posted in Buckaroo News on February 26, 2018 by The Buckaroo Blog. Baseball jamboree scheduled for tomorrow has been canceled. Baseball will with have their first game of the season Monday here against Mineral Springs at 4:00 pm. Posted in Buckaroo News on February 23, 2018 by The Buckaroo Blog. Due to inclement weather, the softball jamboree has been canceled and will not be rescheduled. The softball game against Fordyce scheduled for Tuesday, February 27, has been canceled and will be rescheduled at a later date. The softball game against Rison scheduled for Friday, March 2, has been rescheduled for Monday, February 26th at Smackover with a 4:30 pm start time. Click on the links below for the March cafeteria menus for breakfast and lunch.